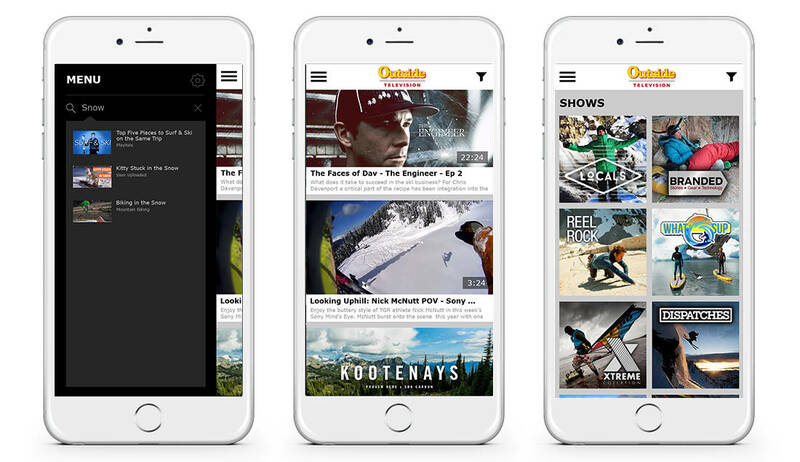 The Outside television app is a one-of-a-kind app based on the national programming network which caters to 141 million adventurous American individuals. They host videos which gives us the adrenaline to get us off the couch and do something active and fun. Their content revolves on mountain biking, sky diving, sailing, surfing, skiing, snowboarding, biking, running, and other extreme sports. Our key contribution is the custom UX/UI, Chromecast synchronization for Android apps, streaming services from various sources such as Youtube, Vimeo, etc. and push notification integration to interact personally with the users.